Ah, I still remember the time I first used a deodorant (and how I got my mom to buy me one. LOL). And while my favorite deos back then helped keep my underarms feeling fresh throughout a school day, I had one major problem with them - staining. Fabric staining is one of the most common problems that we encounter when using deodorants. I just recently learned that there are two types of staining that deodorants could cause. First are the white marks that appear on dark-colored clothes immediately after application of the deodorant. These are said to be mostly residues of the salts used in the deo. And while it might a temporary annoyance, this kind of stain can be easily washed off the fabric. The second type is the one I'm more familiar with, but it's the worse kind - the yellowish stains that often only appear after several washes. These stains are more difficult to get rid off as they don't come out with laundry detergent anymore. Over time, the stains will become more noticeable and can cause the fabric to harden. I can't even count how many of my shirts have stains like that. Ugh, nightmare! Tuyo nga 'yung underarms ko, may stain naman 'yung damit ko. Pa'no ako magiging confident magtaas ng arms in public niyan, 'di ba? There's good news, though. 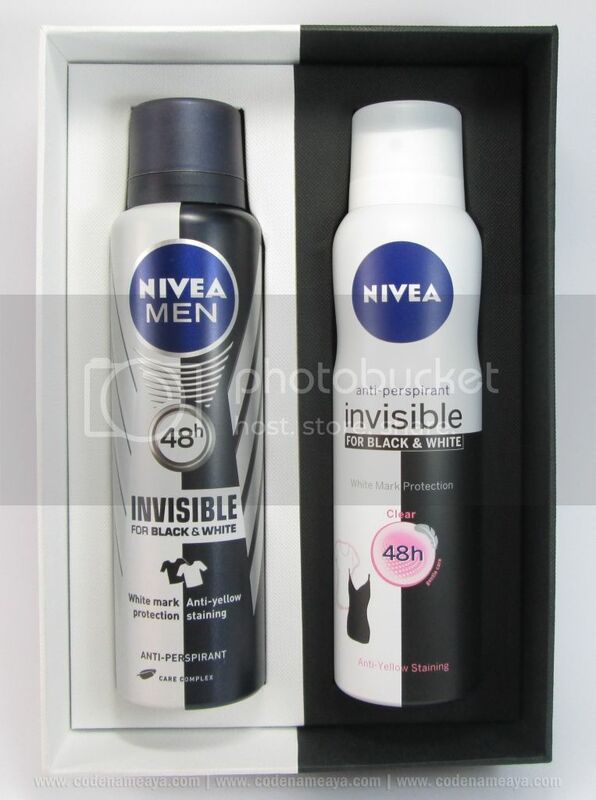 After years of research, NIVEA has released a new line of antiperspirants with the new textile protection technology. With this technology, stain-causing substances cannot adhere effectively to the fabric, making them easier to remove. 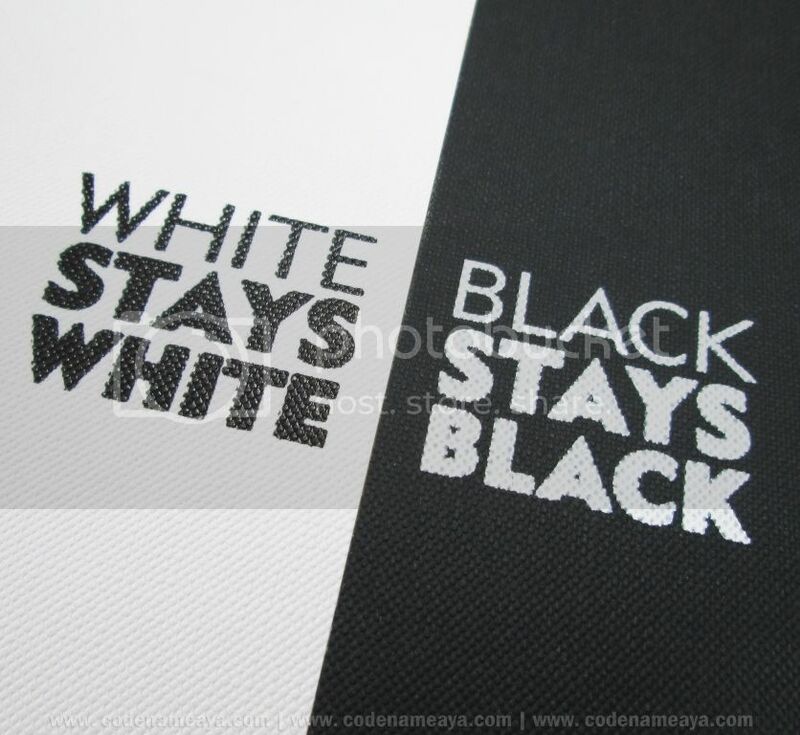 "Making sure black stays black and white stays white for longer, so your favorite clothes look their best." This new line of antiperspirants comes in two kinds, each with variants for men and women. Right now, I'm using the deo spray and I have no complaints so far. 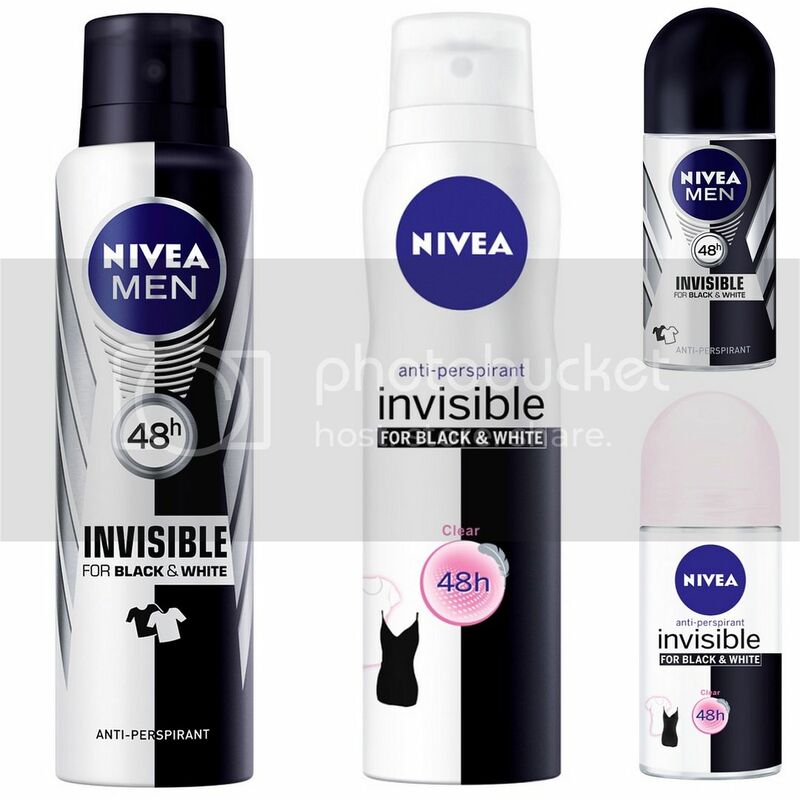 You can check out the NIVEA Deodorant Invisible for Black & White at leading stores nationwide. More info on www.NIVEA.ph and fb.com/NIVEAPhilippines! This smells so nice! Verdict is out on the black stays black, though. I had staining once. Still trying to figure out what caused it..
alam mo nung una ko tong nakita yung term na "black stays black" naisip ko, eh pano pag maitim ang underarm ndi magbabago black pa din, hihih? nung binasa ko nun ko lang nagets.. I was suppose to buy this one, but I go for dove deo spray pa din..